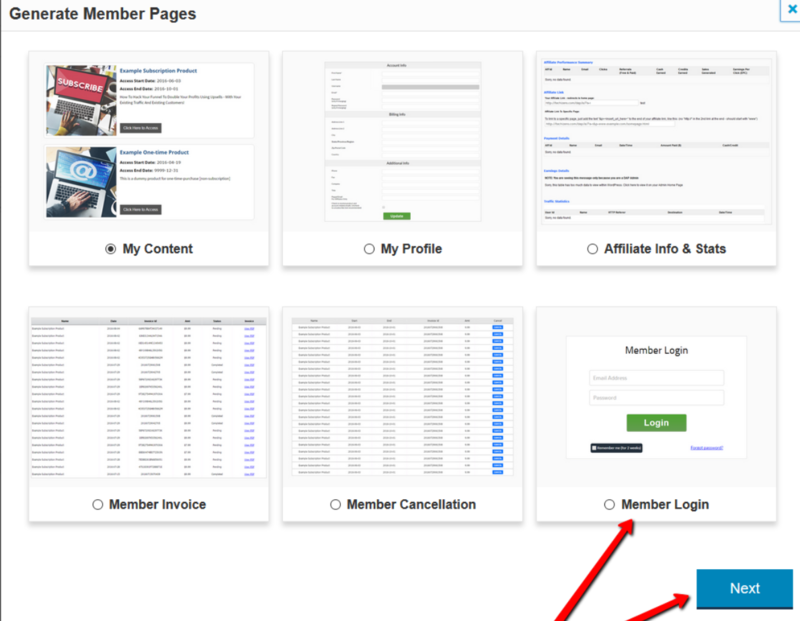 STEP 1: You’ll find a “DAP Member Pages” button in your WP Page/Post. Click on it to get started. 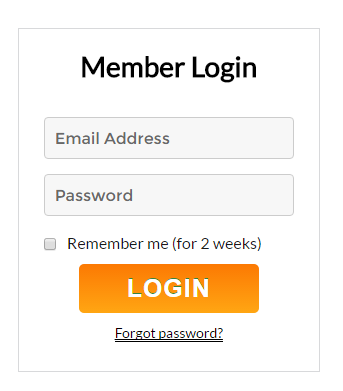 When you select “Member Login” option and click on the Next button, it’ll bring up a login shortcode generator. Be sure to set a “Redirect URL”. If you don’t set a shortcode level redirect, DAP will use the post-login redirect URL set in DAP config page or in the DAP products page. If you want to setup a product specific post-login landing page, just set the ‘redirect’ tag in the shortcode and the users will be redirected to that page upon login. Select a Page or Sidebar login template. shortcode. Simply upgrading LiveLinks on your site will not automatically install the new shortcode or login template. – with the new one, in order to see the new login templates in action. The old shortcode will still be valid, and your old login form will still work even after you upgrade DAP. If you need to switch back to the old code at any time, it will still work just fine. But replace it with the new shortcode as the new templates are mobile-responsive. Due to the new feature of setting a post-login URL right in the shortcode itself (via the redirect tag), you can now have multiple login pages on different parts of your web site. If you don’t specify a redirect tag, then the default post-login rules will apply. However, you can now override the default rules for specific login forms on specific pages, using the new shortcode. This is especially useful if you have a content hub where you have multiple WordPress installations on the same domain, for different niches (or different sub-niches). 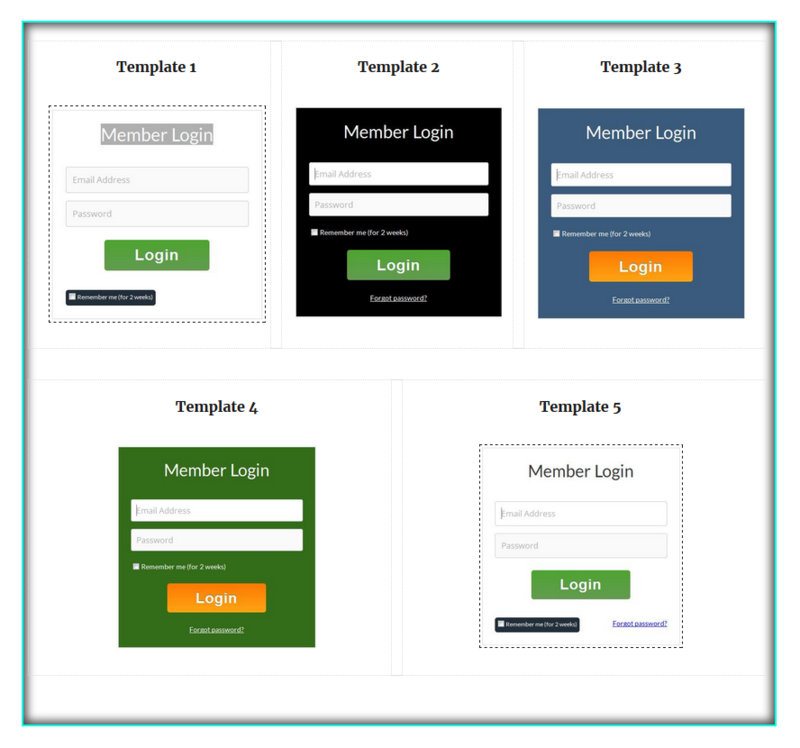 We are releasing 5 pre-built login page templates and 2 sidebar templates. See video above for demo of all 7 templates. You can use template1, template2, template3, template4 or template5 in the shortcode. To have the DAP login form show up in your web site’s sidebar, simply add the sidebar template shortcode to a text widget and add the widget to your sidebar. You will find the login template files under the /wp-content/plugins/DAP-WP-LiveLinks/includes/login/templates/ folder. Say you are using template1 and want to update the HTML of that template. Just make a copy of /wp-content/plugins/DAP-WP-LiveLinks/includes/login/templates/template1/template1.html to /wp-content/plugins/DAP-WP-LiveLinks/includes/login/templates/template1/customtemplate1.html. Make the updates to the custom HTML file and upload back to the template1 folder. Do not remove any merge tags from the template. To update the CSS of a template, make a copy of /wp-content/plugins/DAP-WP-LiveLinks/includes/login/templates/template1/style.css to /wp-content/plugins/DAP-WP-LiveLinks/includes/login/templates/template1/customstyle.css. Make the updates to the custom CSS file and upload back to the template1 folder. If you wish to change the login form’s width, you can update it in the style.css (look for width: 400px in style.css). Of course, don’t change the default file, as it will be overwritten in a future release. So always make a custom copy of your own, and make the changes to that file. You will probably not have a need to create your own template as there are 7 responsive pre-built templates that you can cust0mize, but if you want to create one, please follow these steps. Create a new template under /wp-content/plugins/DAP-WP-LiveLinks/includes/login/templates. Say you call it ‘mytemplate‘. Then copy over the style.css and template1.html from template1 folder to this mytemplate folder. Rename template1.html to mytemplate.html. Leave the name style.css as is. Now make the updates to mytemplate.html and style.css and upload the mytemplate folder (and the files under it) to /wp-content/plugins/DAP-WP-LiveLinks/includes/login/templates/ folder. This new version of LiveLinks v1.11.3 is free for all Dappers with current upgrades & support. P.S: Please do leave a comment behind as we are eagerly awaiting your feedback! P.P.S: We would love it if you clicked “Share” below. I’ve never dabbled with CSS but the misaligned login fields always used to annoy me because it looked sloppy to clients – this looks fantastic, thank you! Very useful update, Veena & Ravi! These are very welcome improvements, thank you. They resolve a number of issues with regards to styling, responsive forms, as well as login redirection. Thanks for investing the time and energy toward aesthetics. 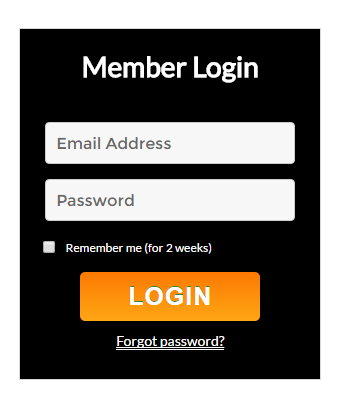 As advanced as DAP is, it’s surely easy to fill every spare development hour on features, workarounds and integrations… and they’re appreciated… but nice looking, mobile responsive login forms is a very welcome improvement and goes a long way in terms of customer experience. I don’t see LiveLinks v1.12. There is v1.11.3 as the latest. Thanks David :). We decided to go with 1.11.3 (after I did the video) because there are NO updates to CORE dap in this release. We will release livelinks 1.12 when we release a new version of DAP. So yes, please upgrade to DAPLiveLinks version 1.11.3 to use the new login templates. Is the DAP shopping cart also responsive now? Nevermind…sorry I didn’t see the previous post about the shopping cart. I have been looking for an alternative solution to this for a long time, but it involves quite a work at back-end. 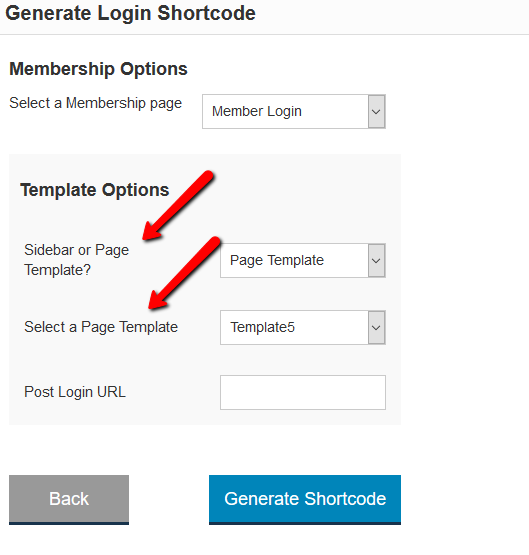 Anyone else having an issue with using the new shortcode within OptimizePress 2? Action Required: DAP & PHP v7.2! DAP v7.2.2 – New Member Pages & Course-Style Template! DAP can now Track Email Stats! ACTION REQUIRED: DAP Security / Password Update! DAP Release: Multiple Updates to help you with GDPR Compliance! From DAP to ZAP! The POWER of AUTOMATION! IMPORTANT: GDPR Compliance – Part 1! 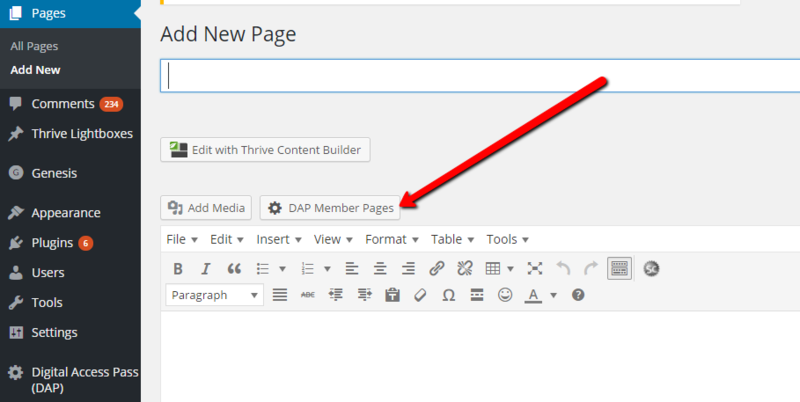 Another Massive DAP Release – WordPress Role Mapping & More! How to add Captcha to your Membership Login page! How to Create, Customize and Send Invoice Emails! How to Pause / Resume your Subscriptions! How to Manage your Orders in DAP! Powerful new shortcodes for your MyContent Page!